The Wellspring School of the Heart is a journey of growth in the Father’s Love. In this school, you will learn more about who God is and who He created you to be. Strengthen your connection with God and be challenged by the opportunity to give His love away. 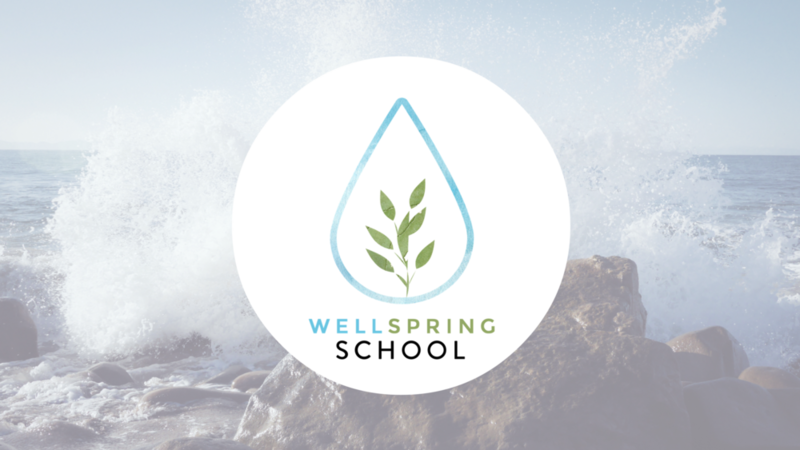 Wellspring school will equip you to flourish in whatever environment you find yourself, from the workplace and academia to serving your family or your local church. Use your gifts for the glory of God and to be an agent of advancing God’s kingdom in and through everything you do. The Wellspring School in Kalamazoo is a parachute school from Summerville, South Carolina. Ends at the end of March/early April with an Outreach Weekend. Break for Christmas, no school on Dec. 16th, 23rd & 30th. Pastors Jimmy and Chloe McKee oversee the Wellspring Schools at New Day. Jimmy is from Detroit, and Chloe was born and raised at New Day, in Kalamazoo. For four years, they lived in Grand Rapids, MI, where Jimmy earned his Master in Divinity. They got married July 2013, and have a three-year-old daughter named Junia and just added little Ezra to their family. Both Jimmy and Chloe feel called to pastoral ministry and are excited to lead the Wellspring Schools at New Day. In addition to the local leadership of Pastors Jimmy & Chloe McKee, each session includes video based teaching from the Wellspring School base in Summerville S.C. and include a variety of teachers such as Scott & Stephanie Jones, Peter & Heather Jackson, and many others. Grow in your understanding of interpreting Scripture - Wellspring School of the Word will offer a 7 week Bible Interpretation class! This is a great opportunity to gain a better understanding of God's word rooted in its historical and literary context. The cost of the school is $225, which includes your textbook. If interested sign up on the Connection Card at a New Day Michigan campus, click the button below, or contact Jimmy McKee.